It's only been one month since this "new" blog started, and I already need to take a week off. (No worries though; it's a break for work.) Before posts resume next week check out the Reading List I posted a few days ago. 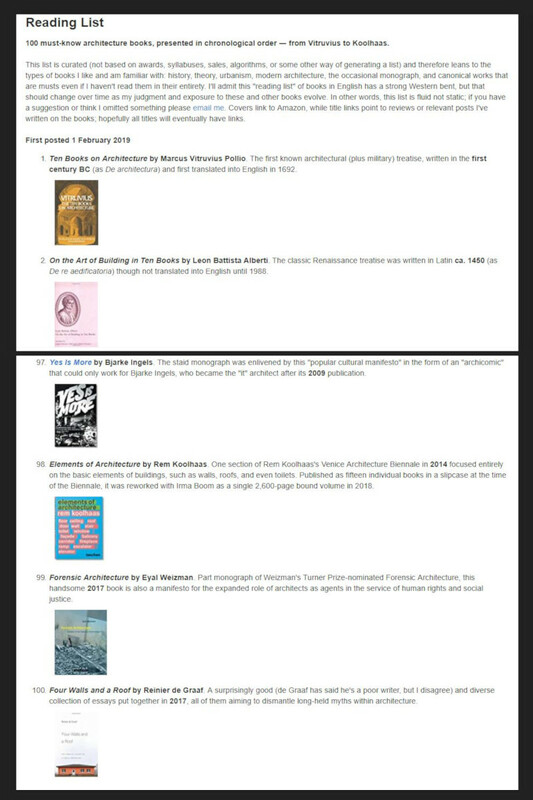 It features "100 must-know architecture books, presented in chronological order ― from Vitruvius to Koolhaas."